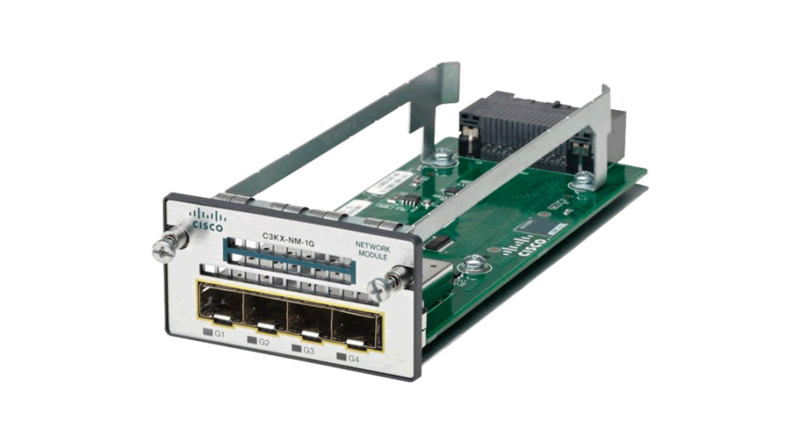 The Cisco C3KX-NM-1G is a spare network module for the Cisco Catalyst 3750-X Series and 3560-X Series switches. Featuring four 1Gb SFP ports and the ability to hot swap out for a 10Gb module (sold separately) if business demands change, this module provides a network uplink connection for the switch it is installed in that is both reliable and easily expandable. A MTBF (Mean Time Between Failure) rating of 5,083,574 hours demonstrates the robustness of the C3KX-NM-1G.